For what ever reason Microsoft disabled the old way to boot your computer to F8 safe mode for repair starting in windows 8, to Windows 8.1 and right through Windows 10. Tapping F8 at start up does nothing on 8, 8.1 and Windows 10. Which makes it very difficult for some to repair your computer whether it is virus – malware related or just getting to system restore. Information I have found, Microsoft disabled the older “F8” Safe Mode to quicken the boot up start up time. I have enabled the “F8” Safe Mode command on Windows 10 and have not noticed any decreased startup times. And I’d rather be able to troubleshoot, repair my computer for a 2-3 second startup delay if it was so. Windows 8, 8.1, 10 has it’s own “recovery” environment can be difficult to get to depending on the problem(s). Unless you have created a system recovery or repair drive. Windows 10 recovery mode does offer a few more options for recovery repair over the older style F8 safe mode though. To enable the older style “F8” key – Safe Mode boot follow the below instructions. Needs to be done, and left enabled before problems arise. Windows 10 click on start menu > All Apps > Windows System. The above command will enable the F8 key safe mode boot permanently. I suggest enabling the F8 Safe mode boot early on BEFORE you run into any problems, and leave it enabled. On all Win 8, 8.1 and Windows 10 computers I receive for repair I enable the older style F8 just in case it is needed in the future. Tapping the “F8” key repeatedly on your keyboard at boot screen will get you to the older Safe Mode options. 6 Methods that I know of to get into Windows 10 recovery environment. Win 10 recovery does provide a few more options to repair, restore, refresh, enter diagnostics mode (safe mode) and a couple others. Methods 1-3 below, your computer must be able to boot up at least somewhat. 1st Method – Start Menu > Settings > Update & Security > Recovery > Advanced Startup. 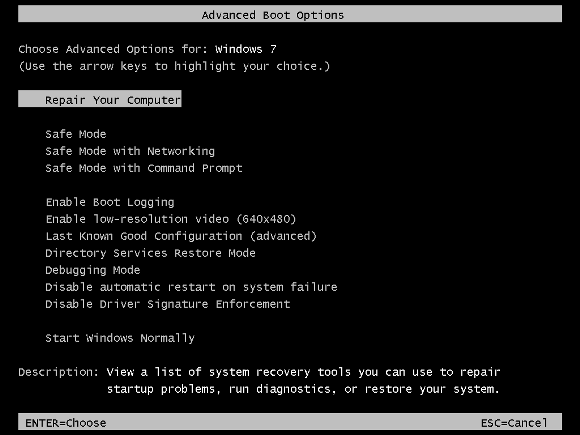 Reboot your pc will boot up into Advanced Troubleshooting, Repair, Reset etc. 2nd Method – Holding “Shift” key down, Start Menu > Power > Restart. Holding “shift” key Down while you press “restart” will start up to Windows 10 recovery environment. 3rd Method – At Windows Log On Screen, same as above,, hold “Shift” key down while pressing “power” button in bottom lower right screen and choosing “Restart”. Microsoft’s Media Creation Tool – Windows 10. The Microsoft Media Creation tool can be used to create Windows 10 installation media, which also contains repair – recovery options. Any other working computer can be used to create this install, repair, recovery drive. 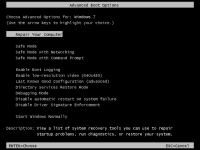 5th Method – 3 to 4 boot up failures should automatically get you into “Automatic Startup Repair, Diagnosing PC..” and then provide the Advanced Startup Repair Options. 6th Method – Using “Msconfig”. Windows key + R > type msconfig, click “ok”… Boot tab > select “Safe Mode” Minimal, click “Apply & OK”. Restart will boot into the Advance Startup repair menu. Keep in mind IF your hard drive is the problem, meaning failed none of these repair options will work. Software cannot repair a hardware problem.